After three breathtaking and bizarre years of studying psychics and psychic mediums, my incredible journey continues daily. For whatever reason, I tend to meet a new psychic or psychic medium every month or so. Every week I have contact with several whom I already know. I don’t know why psychics or psychic mediums are drawn to me, or why I am drawn to them, but I can no longer deny that there must be a purpose, one that I believe is greater than this book alone. Yet, I can only wait to discover where this is all going. I will find out when I am supposed to know. People in the holistic and spiritual community keep telling me that there is a shift of spiritual consciousness going on in our world. All evidence that I have witnessed points in that direction. 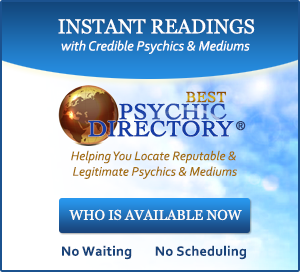 More and more people are discovering that they have psychic or mediumistic abilities. 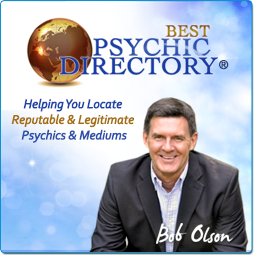 More and more people are discovering psychics and psychic mediums. In the last few years, I have observed many signs indicating this shift just within my own limited experiences. I first witnessed the public’s incredible craving for spiritual knowledge when Melissa and I interviewed Vicki on a Worcester radio station while we substituted for John Alexandrov as radio hosts during his vacation. As I mentioned in an earlier chapter, the call-in lines were jammed for two hours and the station told John that people continued to call in for information about Vicki for weeks after the show. On the same night that Melissa and I interviewed Vicki, The Sixth Sense movie opened. At first, Melissa and I couldn’t believe how many people showed up to see the midnight showing of this movie about a little boy who could see dead people. But what followed was even more astonishing; a wave of interest in spirit communication took the country by storm. 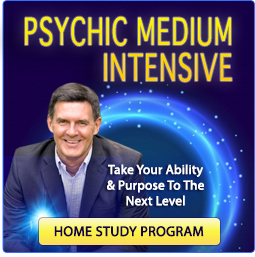 Every magazine, television and radio talk show throughout the nation wanted to interview psychic mediums to satisfy the public’s thirst for knowledge on this subject. World-popular psychic mediums like Sylvia Browne, James Van Praagh, George Anderson and John Edward became the rage. And their books became instant bestsellers. A few months later, Vicki and I were guests on The Jordan Rich Show on WBZ 1030 AM. With an audience across the country and into Canada, not only did the radio station’s caller lines jam up, but a pile of people tried to detour the busy signals by calling WBZ’s sister television station, Channel 4 Boston, as well as the media corporation’s traffic center. Jordan Rich had never seen anything like it in all his years as a radio personality. My next experience indicating a massive shift in consciousness came when a small magazine of about 200,000 readers printed the first chapter of this book. I wrote most of that chapter shortly after my first reading with Vicki, and I published it on OfSpirit.com for people to read. The editor of Spirit of Change magazine saw it on the website and asked if she could publish it in her magazine. On the first day it hit the stands, people started calling both Vicki and me. Vicki’s clientele instantly grew from a waiting list of three months to about ten months. And I was constantly bombarded with letters and phone calls from readers who thanked me for sharing my experience with them. At that point in my career, it was one of the most touching experiences I had ever had in relation to my writing. 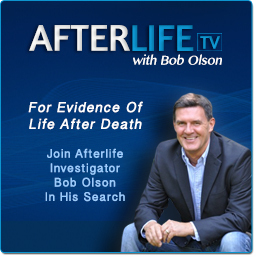 Probably one of the most obvious signs of this mass spiritual shift was the lightning fast popularity of John Edward’s television show, Crossing Over With John Edward. I remember reading on John’s website that they were working on the show for the Sci-Fi Network. This was months before it aired. I must admit that I had my doubts that the show would ever get past all the red tape and onto the screen. Nevertheless, when it did get on TV, news of it among the populace spread like nothing I had ever witnessed. Even my own skeptical friends and relatives who couldn’t get themselves to talk to me about my work with psychics and psychic mediums were now watching John’s show. People’s eyes were glued to their TV sets and many prior nonbelievers wouldn’t miss an episode. What James Van Praagh, George Anderson and Sylvia Browne did with their books to open people’s minds about spirit communication, John Edward’s show exploded to a new level. First the network aired half-hour episodes four days a week. Yet within a short time, due to popular demand, it was airing two half-hour episodes back to back because people couldn’t get enough. It seemed only months before Crossing Over was syndicated and showing on stations all over the dial. As time continued, it became obvious that the public’s interest in spirit communication was not just a fad. Books by psychic mediums continued to become bestsellers. Larry King, Montel Williams and even Oprah continued to have psychic mediums on as guests. And the psychic mediums I knew personally were growing at a record pace in their careers and in the demand for their services. When I first met John, he was giving small demonstrations to forty people in a tiny little room. Today, only a couple years later, John gives psychic medium demonstrations to hundreds of fascinated viewers several times a year. He has become so well-practiced on stage that I regularly go to see him myself in awe of his stage presence. He has also been contracted to write two books, not just one, by Hay House, a major publisher in metaphysical and spiritual nonfiction. Vicki has also made enormous strides in her mission to share her gift with the world. She, too, now gives psychic medium demonstrations to audiences in the hundreds, numerous times each year. Each time she announces a new event, it usually sells out within a couple weeks. At the moment I write this, she continues her mega-popular radio show in Portland, Maine; but I don’t know how much longer that will last. She is currently in negotiations for her own national television show on a major network and a documentary about her life is already being filmed. It is hard to believe that I was among her first ten clients during a time when she had serious doubts that her little gift could turn into a full-time career. Today, her waiting list for personal readings reaches into the next couple of years. Several other psychic mediums I know are also beginning to be absorbed into the media and on stage to share their gifts with the masses. Rita, the psychic medium who wowed me with her spirit artistry, is used to getting up in front of audiences. But soon she will also be a published author. She has recently been asked to co-author The Complete Idiot’s Guide To Communicating With Spirits (I’m honored to be writing the Foreword in that book). Rita was another psychic medium who I met when she was still hard-pressed to find financial security using her multifaceted gifts. That is no longer an issue. Today she struggles to find balance among her personal life and the immense public demand for her mediumship, spirit artistry and counseling services. What does it all mean? I won’t pretend to know. All I do know is that changes are occurring that are beyond our comprehension. And I don’t believe the September 11th tragedies are a mere coincidence during this shift either. I don’t know all the answers, yet I can’t help but to think that all those people who died gave up their lives in order to teach us a major lesson and accelerate this shift for our benefit. Now more than ever, people are seeking to understand the essence of life and thinking about the connectedness of all people regardless of color, race or faith. People are giving more thought to the fact that we are not separate, but instead, are all spiritually connected—with one another and with the Source of love and light. The newest leg of my journey has taken me to investigate death more deeply. I believe we can learn an abundance about life by better understanding death. Interestingly, I watched a movie called Wit about a woman dying from cancer and immediately knew the focus of my work would gravitate in this direction to help people who are dying and those who are grieving. 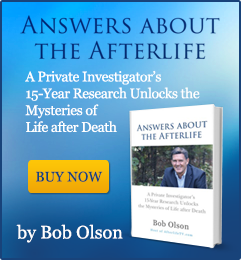 I knew that I had a hopeful message to give that resulted from my research in spirit communication and the afterlife. When I realized I needed to use my experiences to help people to not fear death, I looked at my bookshelf to see what information I might have on the subject. I was drawn to one tiny little book titled, Don’t Be Afraid To Die, by Gladys M. Hunt. As I pulled the book from the shelf, it evoked a memory that enveloped my body in a wave of emotion. I suddenly recalled that Melissa had given me the book when she was twelve and I was fifteen years old. Her mother had one of those home parties, only this one sold books rather than Tupperware or Mary Kay Cosmetics. Melissa bought me the book because it was the only one she could afford. It was $1.25. I never thought it strange that she gave me a book about dying; I simply cherished the gift and have kept it all these years. Yet I never read it. Upon finding it again more than twenty-two years later, I started to read it and couldn’t put it down. I wondered why I had avoided it all these years. I guess it wasn’t time yet. Life has a funny way of preparing us for the future. It turns out the book Melissa gave me twenty-two years ago is now out-of-print. I can only assume there is an important message within it that only this book can provide me. Or perhaps it is just a reminder that our life’s purpose is charted before birth and every experience we have prepares us for what is to come. I trust that either, or both, of these possibilities is true. That is one of the benefits of knowing. While I have discussed being a knower in this book, I have not really discussed the benefits of knowing. Although there are far too many to list, and some benefits are purely subjective, I will mention a few. The first that comes to mind is peace. I am at peace. With that I mean that I have less fear. I am not fearless, but I fear less. And perhaps most importantly, I do not fear death. Still, as nice as the spirit world sounds, I prefer to stay here right now. But losing my fear of death is a wonderful gift. Since I believe many pathologies exist in this world due to people’s fear of death, I believe this is one of the greatest benefits to knowing. It gives me immeasurable peace-of-mind. The second benefit to knowing that comes to mind is connectedness. I know that we are never alone. Whenever I speak to a psychic medium in person or on the phone, the second I mention the name of a loved-one who has passed to the spirit world, he or she shows up instantly. I might mention my father and suddenly the psychic medium is telling me that he is there. This is true for everyone even when a psychic medium is not present. All we need to do is think of someone in the spirit world and we can know that they are with us. They are next to us. They are reading our thoughts, our concerns, our emotions and our love for them. Whatever we want to convey to them, all we need to do is think of them and the message is delivered. We are never alone. Be it spirits of loved-ones, spirit-guides, angels or God Himself, we are being taken care of at every moment even though we may not realize it. The third benefit that comes from knowing is trust. I trust that whatever I am going through at any time is supposed to be happening. If I am sick, it is meant to be for my benefit. If I am healthy, that too has its lessons. If I struggle financially, that is my gift. Even wealth has its struggles and lessons to be learned. Everything we go through, be it birth or death, marriage or divorce, poverty or wealth, sickness or health, every circumstance, condition and experience is a gift for our benefit. In reference to my knowing, many people have asked me what I know about the stages of enlightenment. My first answer is that I know nothing; nobody really knows until we cross-over. But I will share with you my belief. I believe that we are all energy beams that reach out from the Source, the light and love of God, like rays of light that reach out from the sun. When we first leave the Source, we are blank slates, eager to have experiences that will teach us all there is to know. At first, our energy is low and dense because we are new and inexperienced. As we have experiences that teach us universal wisdom, our energy vibration (our frequency) increases. And slowly, after many lives and many experiences, our vibration slowly increases so that we work our way back to the Source—the One with the highest vibration. I believe that we increase our energy and our knowledge by experiencing the polar aspects of all there is to know. Our knowledge gives us an appreciation and understanding that makes us ever more complete with each new experience. In other words, we learn from experiencing both sides of every possibility. In order to fully understand and appreciate kindness, we must experience cruelty. In order to fully understand and appreciate joy, we must experience depression. In order to fully understand and appreciate health, we must experience sickness. In order to fully understand and appreciate comfort, we must experience discomfort. And so it goes for every possible experience that exists, we experience both sides of the spectrum in order to understand and appreciate the opposite. As we reincarnate from one life to another, we can only take on so many experiences at one time. In one life, we might learn about loneliness and poverty. In another, we might grow to understand addiction and codependency. In another, fame. In another, companionship. In another, being needed and taking care of someone in need. In another, mental illness. In another, unconditional love. Sometimes we can handle two or three, or maybe several, lessons in one lifetime. Sometimes one major lesson may be all we can take and our life might be very short. And some lives may even be strictly for the purpose of helping someone else’s spiritual growth, although we always benefit energetically whenever we help another soul in their journey. As we complete each lifetime, our energy frequency increases and we grow closer to the Source. After several lifetimes, we are vibrating at faster speeds and we have gained an understanding and appreciation for many facets of being. It is my belief that if someone finds themselves passionate about helping the homeless or foster children or the mentally impaired, that they have likely experienced that condition in a past life. This is why they have compassion in this area and for these people, because on a cellular and subconscious level they understand and appreciate the circumstances and conditions that these people know. This is why God, our Creator, has unconditional love, compassion and understanding for us. He knows all sides of every experience. Some people may choose not to return to earth for another lifetime because lessons can also be learned in the spirit world. We can help people on earth as spirit-guides ourselves, assist in helping souls cross-over, comfort pets while they await their earthly owners to return to heaven, or any number of possible “jobs.” However, from what I have learned, we reincarnate because spiritual growth is much faster here on earth. Similar to the “No Pain, No Gain” philosophy regarding physical fitness, the struggles we endure on earth are like going to the health club to exercise. With each grueling work out (each life), we return with rapid growth. Every time a life is ended, our souls return home to heaven. And each time we return to the spirit world, we are instantly freed of all pain and sickness, all fear and all earthly concerns. We are instantaneously bathed in the comfort, joy and love of the Ultimate Light. Regardless of how difficult our last lifetime was, we sigh in our emancipation and think to ourselves, “Wow, what a relief!” And as we discover the immense growth we gained from that lifetime, we think, “Hey, that wasn’t so bad. I can do that again.” And before we know it, we are planning our next human journey. With each lifetime voyage we are even closer to reaching God’s vibrational frequency—the ultimate, final destination. Then, at some point we know all there is to know and have experienced all there is to experience. We have the highest understanding and appreciation attainable. And upon that last lesson, the final earthly existence that completes us, we merge again with our Creator to an eternity of euphoria and ecstasy. That is my interpretation of life and the afterlife according to my experiences, research and beliefs over the last few years. I can’t prove it, but it helps me to understand why bad things happen to good people, why children suffer, and why God allows the tragedies and sufferings of innocent human beings to exist. Although it doesn’t make negative experiences any less tragic or difficult to endure, and in no way do I intend to make light of anyone’s suffering or hardships or suggest that we stand idly by and watch people struggle—we should always do what we can to ease the burdens of others—it helps me to believe there is a spiritual purpose to life’s challenges. By believing that we learn to know love as much by experiencing hate and suffering as we do kindness and compassion, it helps me to make sense of this world and trust that every person’s suffering will be relieved and rewarded in the end. Everything I have written in these pages is my truth. I do not offer it to you so that you will accept it as yours; but rather, so you will open your mind to the possibilities in order to find your own truth. As I said in chapter one, your journey need not involve mediumship. There are multiple routes to spiritual enlightenment and growth. Follow your intuition. Enjoy your own journey during this spiritual shift of consciousness. And if you ever have the time, please write to me and share your own story—perhaps even share it with the world. God bless.